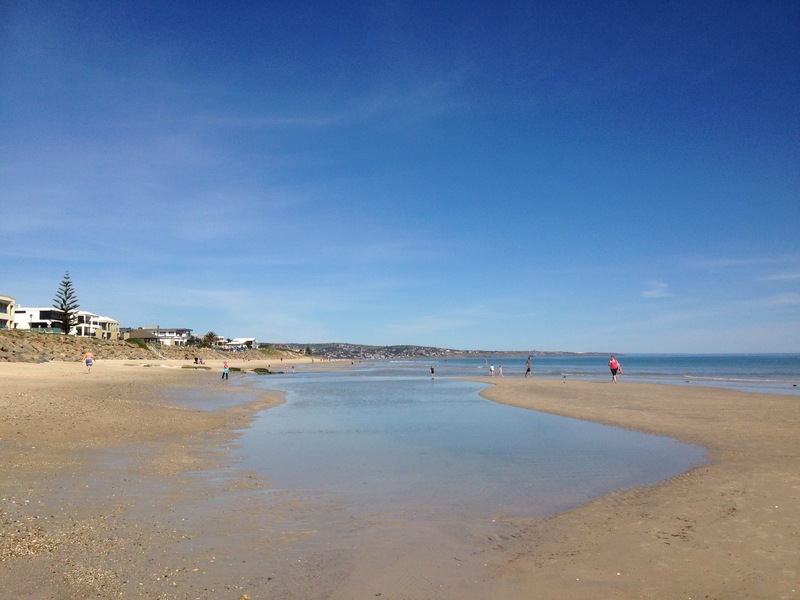 It seems that the whole of Adelaide is at the beach… But it’s not crowded. 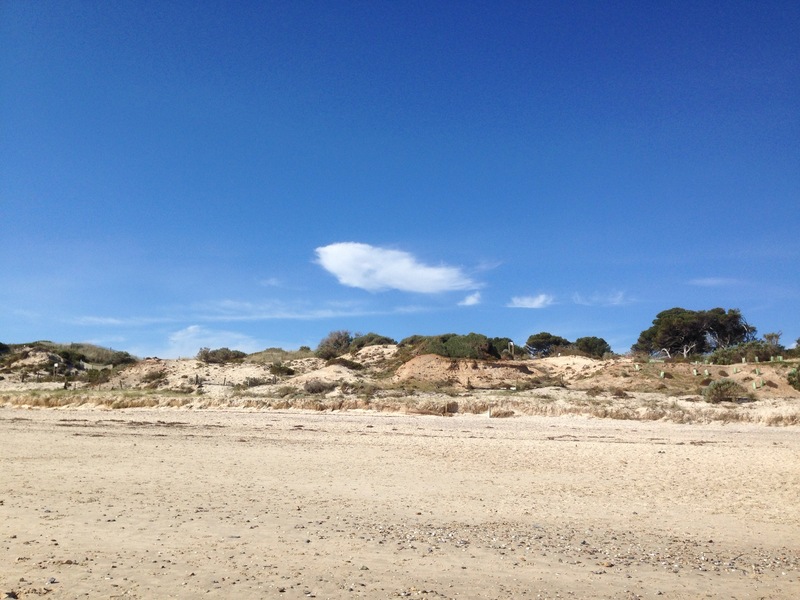 Strolling from Glenelg to Somerton along the beach, we met our friends more or less by chance (as you do here). 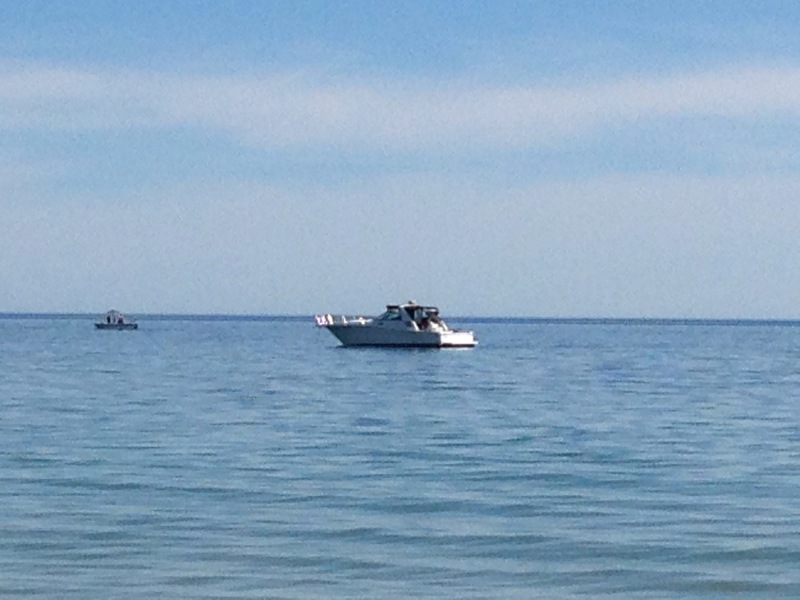 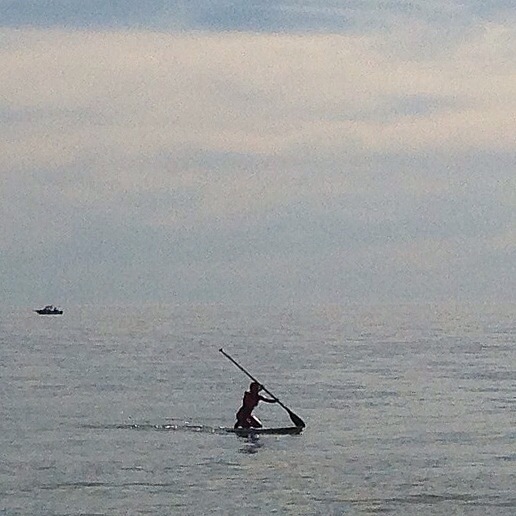 Everyone was out, in boats, boards, swimming even, but it still didn’t feel crowded. 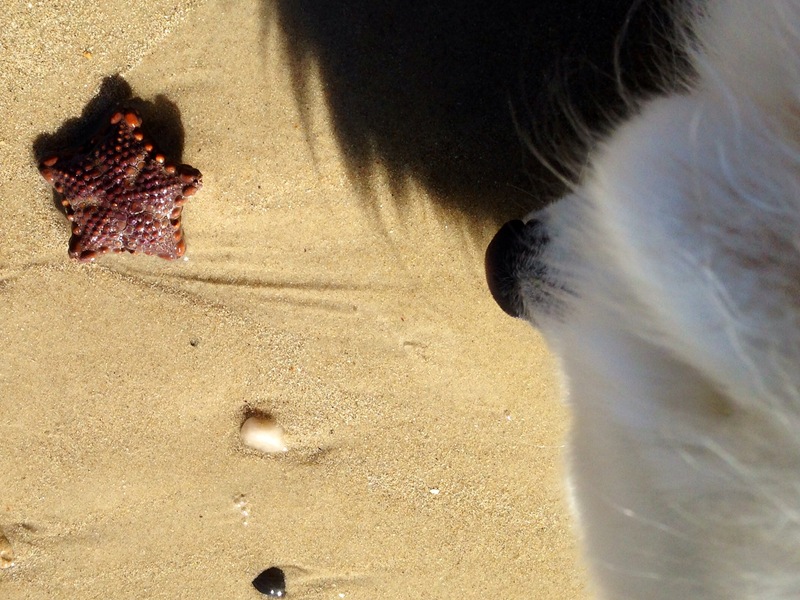 The low tide yielded a bountiful marine harvest, including another starfish, most intriguing to Fish, our friends’ dog. 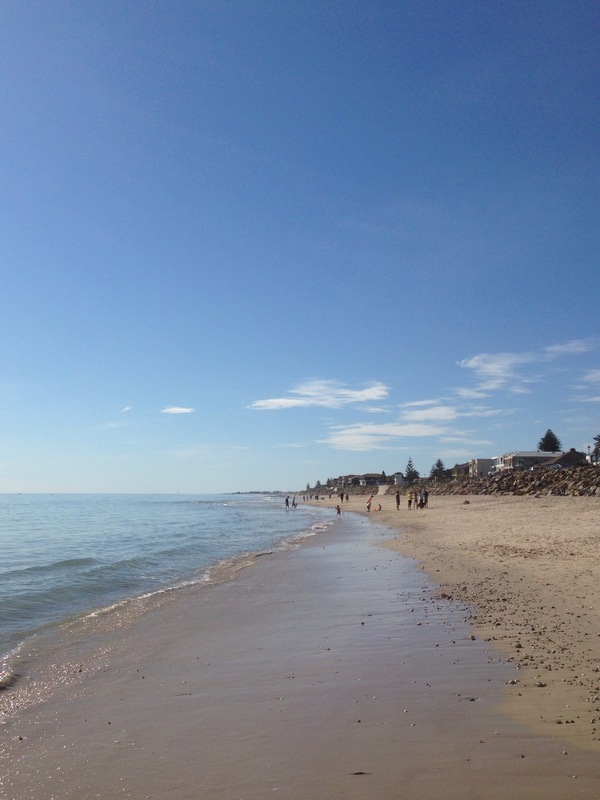 We continued nearly to Brighton past the sand dunes, thought about lunch but realised we’d left our shoes under a rock at Glenelg.